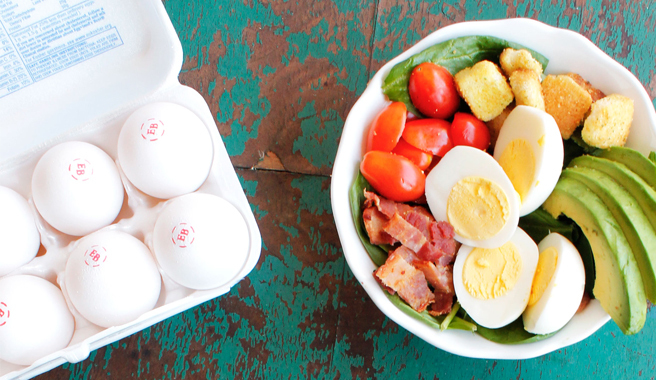 An "eggcellent" packed-lunch option for the child or teacher in your life! Thanks Eggland's Best for the recipe. In a large bowl combine spinach, onion, and tomatoes. Place all of your salad dressing ingredients together in a jar and shake until completely combined. Top spinach mixture with 2 hard-cooked eggs per bowl, sliced avocado, and croutons.